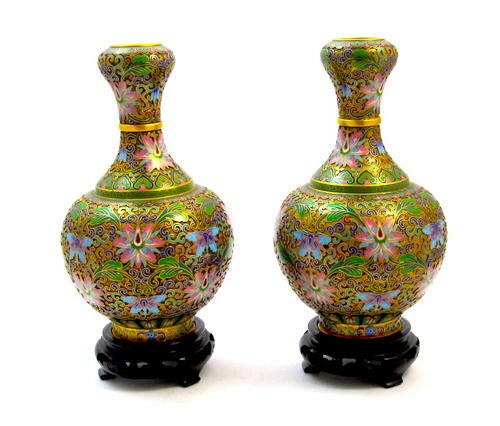 A Pair of Chinese Cloisonné Vases and Stands. Each Vase is Decorated with Enamelled Flowers Including the Lotus Flowers which Symbolises Purity and Beauty. Cloisonné is an Ancient Technique for Decorating Metalwork Objects Usually by Using Enamel and Inlays of Cut Gemstones, Glass and other Materials.